Some of my ideas included in a book on thinking skills as part of Bloomsbury's CPD for Teachers series. Week long visit to the Garden International Schools in Kuala Lumpur and Kuantan, Malaysia, April 2018. 2017 commissioned to create a new story-trail at East Carlton Park, Northants., around a series of wooden sculptures that have recently been installed. Currently have active relationships with publishers Bloomsbury and Routledge. In 2015 Bloomsbury brought out my Creative Approach to Teaching Writing and Routledge published my Jumpstart! Wellbeing and Jumpstart! Philosophy in the classroom in 2017. Both publishers are also currently considering further proposals from myself that may lead to future titles. 2016 invited to visit a cluster of eleven primary schools in the Kettering area as part of the Inspire Teaching Schools Development Programme initiated by the Head of Hall Meadow School, Kettering. This also included a CPD day Metacognition to Deepen Learning in June 2016. 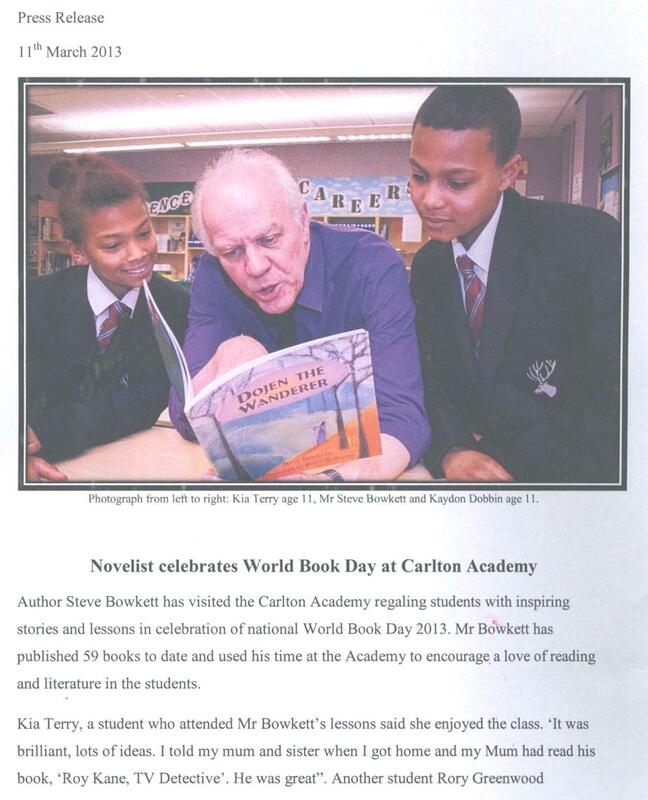 Spring term 2015 creative writing project at Ellis Guilford School Nottingham as part of their Y8 Writing Challenge. The aim is to motivate reluctant writers and produce a professionally published anthology of their work. Commissioned to write Thief By Night, a picture book fable as part of the Happiness Pack for Thinking Child.Org. Commissioned to write ten story booklets for a guided reading pack published by Thinking Child. Working with the Inspire alliance of schools on CPD for thinking skills and creative writing, plus author visits working with some children in selected cluster schools, 2016-ongoing. Five-visit residence to Southwold School in Nottingham to motivate Y3/4 & Y5/6 groups of young writers. Delighted to be asked to be Patron of Reading at Brambleside Primary School in Kettering, while continuing to develop PoR projects with Irthlingborough Junior School and Huxlow Science Academy. 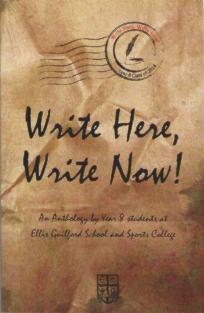 Worked on the 'Write Here, Write Now' project at Ellis Guilford School in Nottingham. This is aimed at Y8 pupils who volunteer to attend five modules, including a day trip away, to produce at least one piece of writing, poetry and / or prose. The 2015 modules I ran were Whodunnit and Ghost Stories. In both cases our trip out is to the excellent Galleries of Justice in Nottingham. 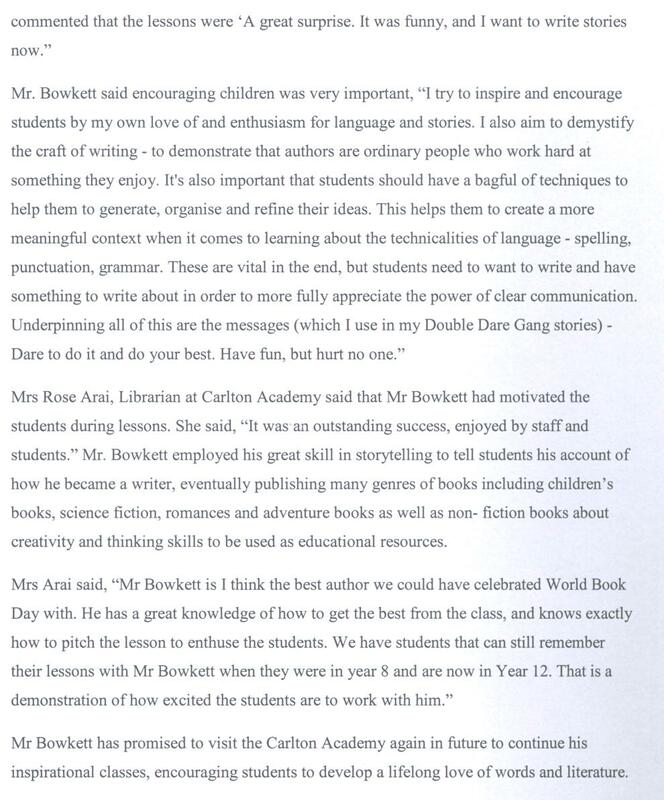 The project culminated in the launch of an anthology of the pupils' work at an evening attended by the young writers, parents / carers, teachers and authors. 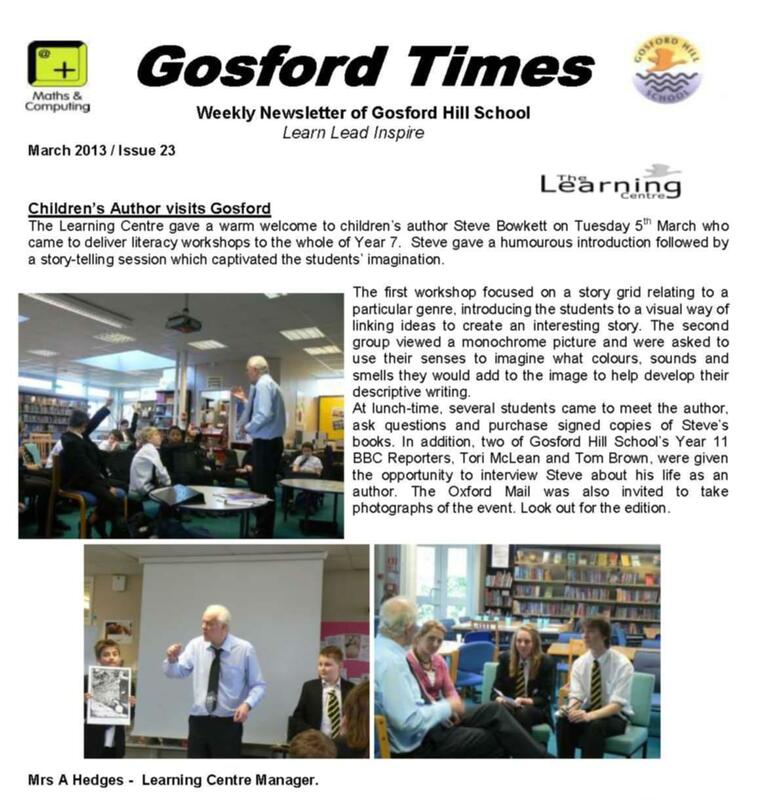 Invited to be asked to be Patron of Reading at Huxlow Science College, Northants and Irthlingborough Junior School. On an ongoing basis from Spring 2014 my task is to work with both schools to promote a love of books and reading in various ways. 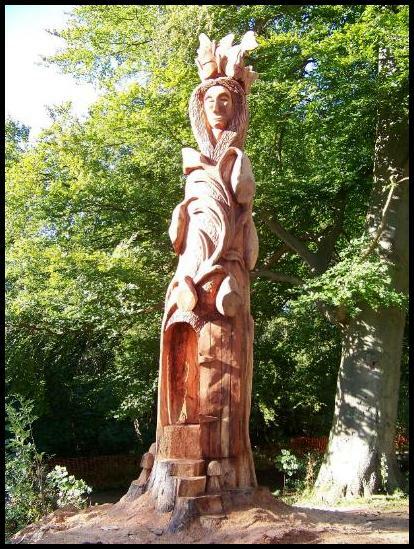 Developing a storytrail at East Carlton Park near Corby based on some sculptures created by Peter Leadbeater (see Links page). 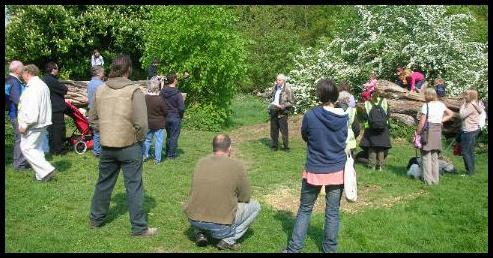 As well as doing the trail for members of the public I also took classes from every primary school in Corby on the walk, summer 2012. I wrote a resource pack full of literacy activities for KS2 to accompany the trail. If you are interested in learning more please email me. Peter is also creating a series of wooden sculptures at Pear Tree View in Loughborough. 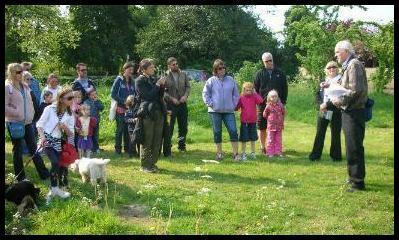 I've written a story to accompany them based on a workshop I ran with some local children. 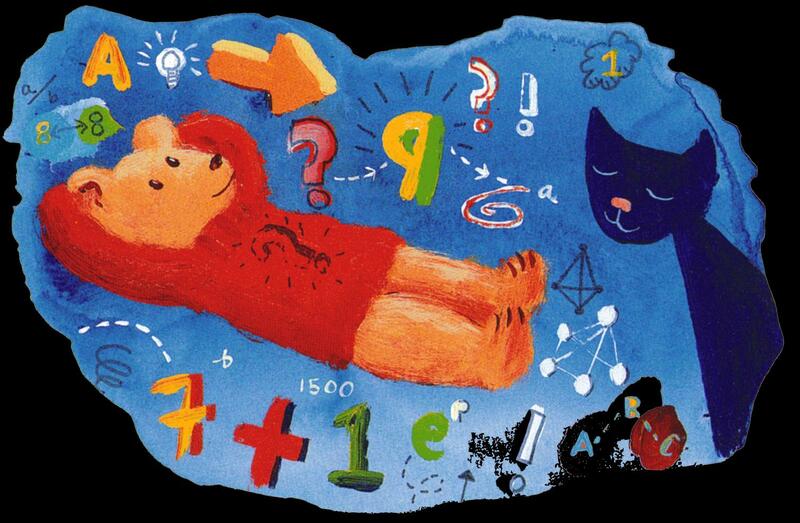 Philosophy for Children (P4C) is becoming increasingly popular in schools, especially perhaps in primaries. Through the latter part of 2011 and into 2012 I ran a number of P4C sessions and kickstarted philosophy clubs at several schools in my area, in conjunction with my colleague Sue Dixon of Thinkingchild.org (see Links page). If you would like more details of what we can offer in this area, please email. (image taken from 'Philosophy Bear & the Big Sky', Network Educational Press, 2005, ISBN 1-85539-167-8). Recently I've been working on an outdoor literacy pack in conjunction with Sue and Mary Hopper (of Three Bears Literacy). This resource contains over 100 ideas for games and activities that cover work at word, sentence and text level and incorporates a variety of written forms including narrative prose, poetry, proverbs, descriptive writing etc. If you want more details email me direct or Sue at Thinking Child.